For the past two years, Apple has been providing iOS fans with a simple choice - to get a regular iPhone with a 4.7-inch display or bite the bullet and jump on the iPhone 7 Plus train. The supersized iOS phablet just got refreshed for the second time, and what a refreshment that is! We all know about the performance and camera improvements that made their debut, but how does the phone stack up size-wise against the competition? Well, we are now going to pit it against both its predecessor and all of other notable rivals in a size comparison which will show us how it measures up. 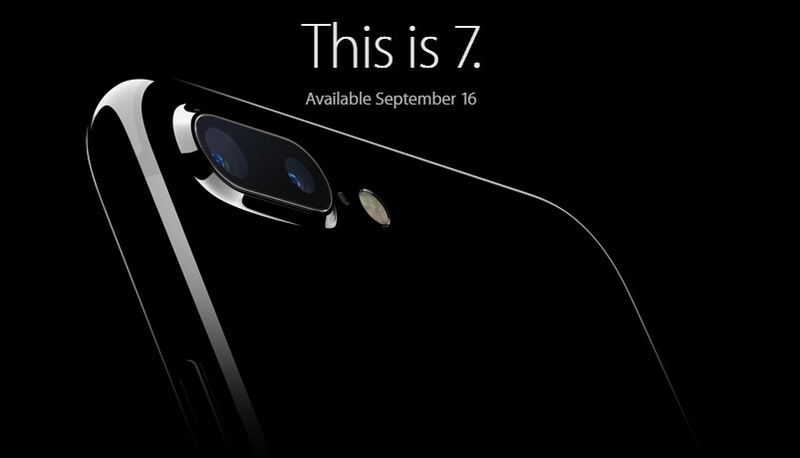 to be honest i do not like the form factor of the iphone 7 and the 7 plus. it is way too big for a 5.5 inch phone. why cant they just make the phone thicker to remove the camera bump and have a bigger battery whilst trimming the length and width of the phone. revolutionary design come on guys. they invented piano black. I don't know if cheap was the right word there but I get what you mean. I actually prefer the iPhones size to the Notes width wise. The side bezels make the iPhone much easier to use, without the accidental presses. My one gripe with the note 7 is, although beautifully designed, it's too narrow for my man hands, and is not as ergonomically friendly as the iPhone is. I prefer the Note 4&5 size wise to the Note 7. I agree after using the s7 edge for a time, the curved screen causes so many accidental screen presses. I'm sure the note 7 is the same. Though I was forced to give up my Note 7, I never experienced accidental screen presses. They upped their game since the S7 Edge to fix those kinds of gripes. No Note 7 is not the same. You will never get accidental touches. In fact after using it for nearly for nearly a month I have started feeling the edge design as norm. I got quite a few accidental screen presses. The software helps, but they still occur. I never had that happen when I used the Note 7 and it was more comfortable to hold/ use than the S7 Edge. Samsung gave the Note 7 a flat spot on the sides while the curved displays aren't as dramatic and it feels like a smaller phone compared to previous Notes. Whoooa... It's even bigger than my OP3! Got to give it up to Samsung though, that note 7 size is great! Ex ept for the battery fiasco, Note 7 is the best designed phone of the year. They perfected the edge design. Could have raked in million of added sales but they themselves let them down. Get the older 6+ and save ur money folks. It has the better screen to body ratio by an amazing 0.1 mm! Lol. I think the 10 is best all around android phone available right now. You made a great choice in getting the 10 mate. The iPhone Plus series is an abomination of a design when compared to the regular iPhone. What's the logic behind the massive bezels when it's just a larger model? The internals certainly aren't proportionately larger because of the larger screen. It's even bigger than the 6 inch Huawei Mate 8 ffs! I dont mind the bezels on the regular iphone , But it doesn't look good at all on iphone plus . I wished they could have trimmed it down a little from the sides atleast for another onnovation excuse :P . The Note7 is just beautiful . And the best in handling as compared to other curved screen . My deal breaker has always been the glass back . Using an iphone but the Note/S series is still my favorite .